& Nbsp; & Nbsp; & Nbsp; & Nbsp; - Dobrovoľnícke s nami! Places are now filling up fast for the LII conference and exhibition but there’s still time to book and take part in this global event. There is a wide array of features, akcie, and things to do and we will host participants from almost 30 different countries in London in December. In the run-up to the show, our news will feature just a few of the key elements. Ziyad will speak about how the rise of big data and new technology is transforming the very nature of social research, and how we as an industry can respond to this phenomenon, both tactically and strategically. To handle the threats and to respond to the opportunity in this area requires fresh thinking, ranging from organisational culture to the relationships we have as an industry with a whole host of new actors. Ziyad will also walk through some of the innovations and approaches Sage Publishing plan to implement through building, nákupy, partnering or investing. The conference will go on to look at “Valuing truth in the age of fake”, “Birth of the new Infotech”, “Whose research is it anyway? ", “Cyber Security”, “Open Science, Open Futures”, “The new impact”, “Changing user behaviours and new business models”, “New tribes”, “AI and machine learning”, “The University publishing revolution”, “Start-ups challenging the status quo” and “Publishing to address grand societal challenges”. We have also been making the news ourselves in the past week or so. 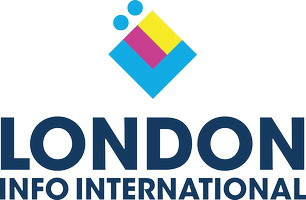 London Info International 2017 is more than just another conference; it is an independent platform that enables discussions, engages communities, shares knowledge and drives change with influencers, používatelia, and providers of information across all disciplines. LII 2017 is independent and inclusive. It exists to bring together a community of engaged information professionals to improve outcomes in research, education and business. Zadajte svoj e-mailovú adresu na upísanie tohto blogu a dostávať upozornenia na nové príspevky e-mailom. Vyvinutý Vymyslieť Témy Ltd. Powered by Wordpress. Post nebol odoslaný - skontrolujte e-mailovej adresy! Prepáčte, váš blog nemôžu zdieľať príspevky e-mailom.